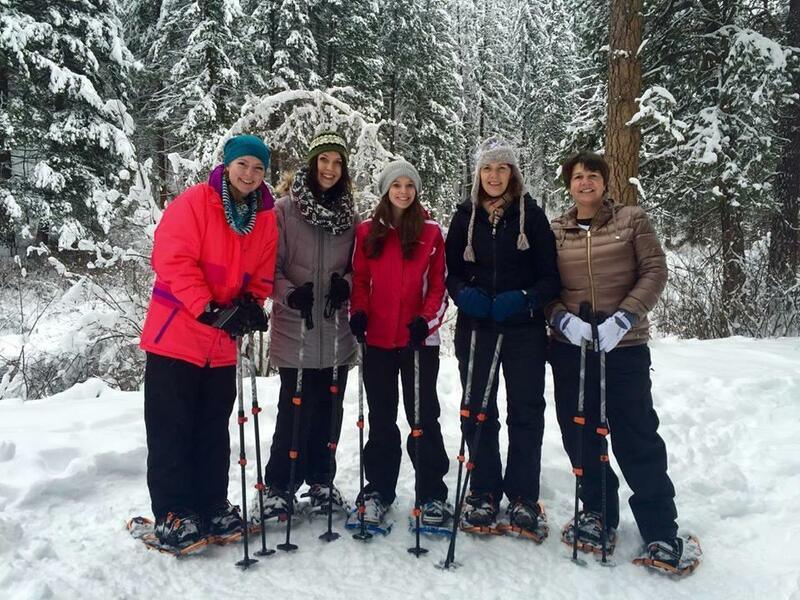 Snowshoeing and wine tasting in mountains of Leavenworth, Washington is the ultimate winter wonderland adventure! 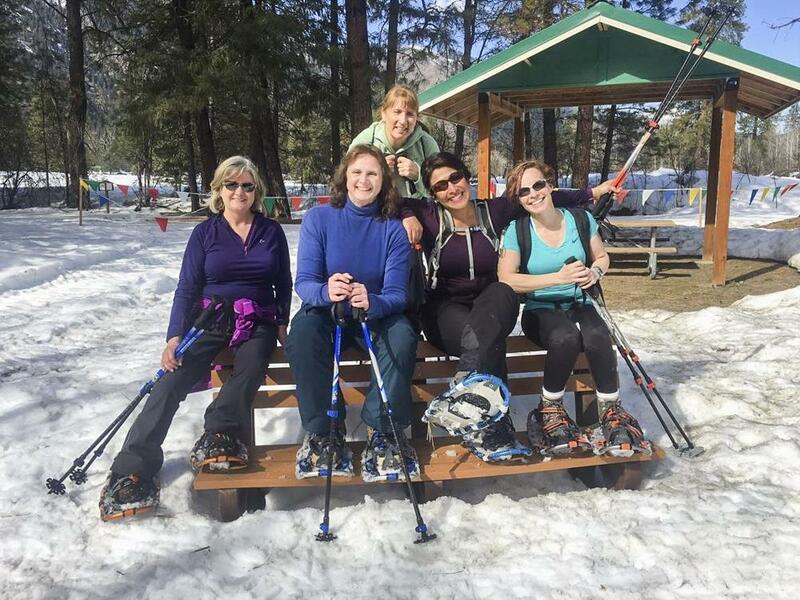 Meet your group in downtown Leavenworth, Washington and you will then be transported by our adventure bus to and from our beautiful snowshoeing area along the Icicle River. 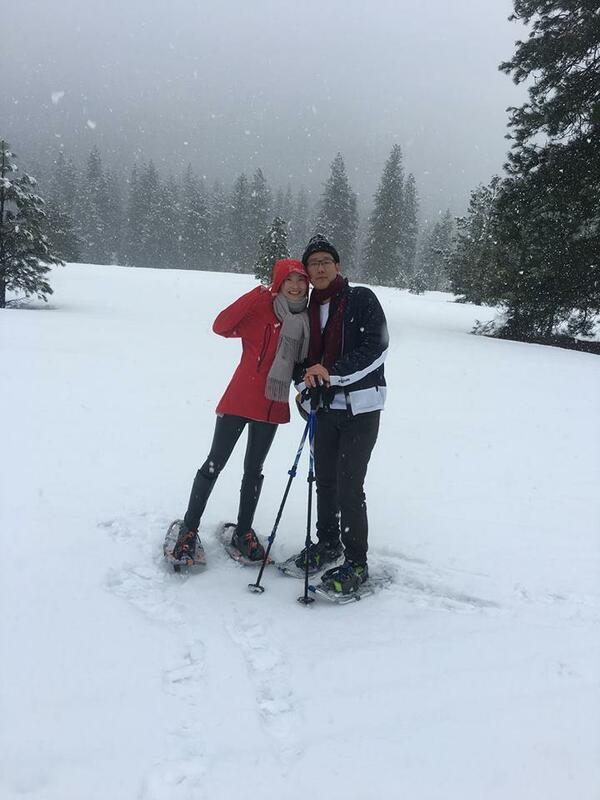 You will love trekking with your experienced and outgoing guides as your snowshoeing trek leds you through several miles of Alpine Meadows and Ponderosa Forests. 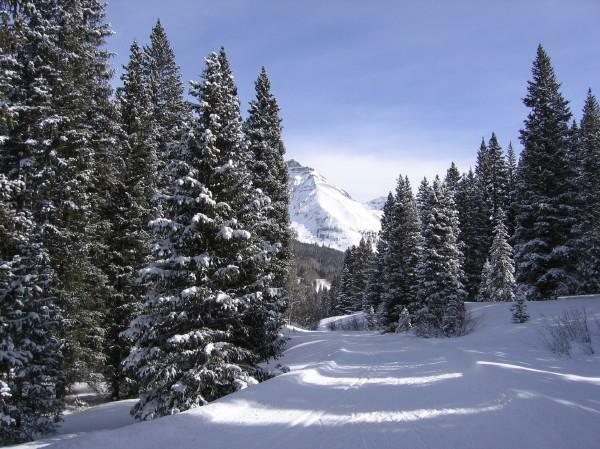 Be sure to bring your camera as the scenery is absolutely breathtaking (Hint! your friends will be so jealous when they see your pictures). 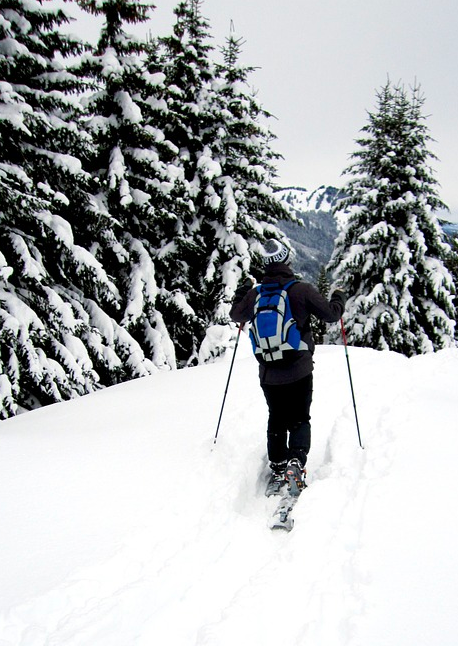 Snowshoeing is a great way to get some excursise in before enjoying a light lunch and then heading over to some of the best wineries between the Leavenworth and Wenatchee area. We will return to our Leavenworth shop and enjoy a sandwich buffet before relaxing to the taste of crisp white wines and savory reds, while getting to know the local wine makers. We work with only the most friendly and intimate wineries based completely on guest reviews. You will be sure to end your day totally relaxed and with a big smile on your face! We'll also provide bottled water along the way to keep you energized and hydrated all day. You'll be sure to end your day with a big smile on your face! 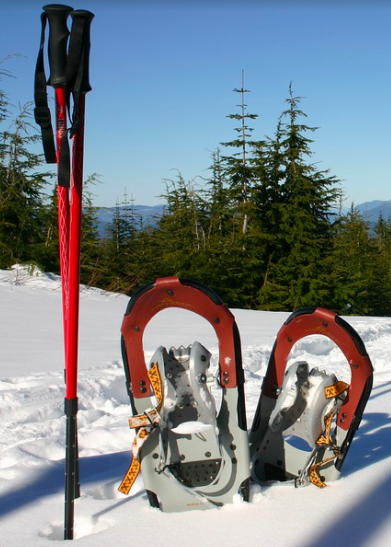 This winter wonderland adventure is a fun filled time for adults of all ages and all snowshoeing equipment is provided for you by your guides. 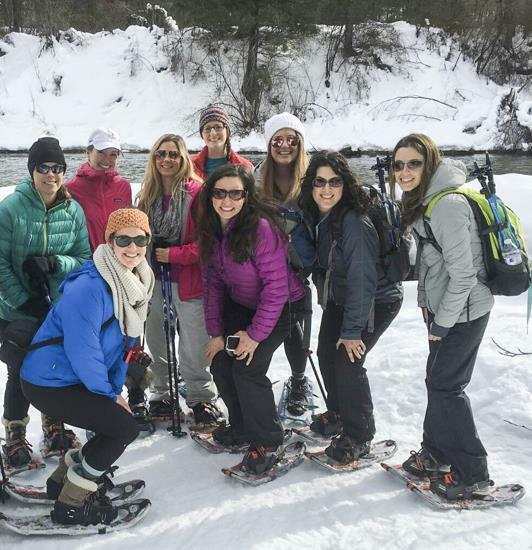 This snowshoeing and wine tasting adventure is our most popular tour of the winter season! Below are some items we recommend. Basically you are dressing like you would to a winter football game, sleigh ride, etc. -Since you will be very active, clothing should have good wicking ability. - Make sure to bring a photo I.D. * Please note that most wineries have additional tasting fees from $5 - $10 (usually free with bottle purchase). Cancellations made 15 days before will be fully refunded. “The historic, tree-lined farming community of Walla Walla, until recently best known for its sweet onions, has quickly become the epicenter of Washington wine tourism.” ... more-Wine Enthusiast Magazine, naming Walla Walla one of the 10 Best Wine Travel Destinations (worldwide). Washington is the second largest producer of wine grapes in the US. The weather is dry and temperatures are much warmer on the east side of the state where most of the grapes are grown versus the wetter, west side. And with 13 distinct American Viticultural Areas, Washington State has some serious diversity in soil types, topography, microclimates, and wine touring regions. Our Taste Vacation in Washington is a two-night, three-day tour based from the historic town of Walla Walla. Walla Walla is a farming town whose tourism is now centered on wine – the downtown will charm the pants off any visitor. Washington state isn’t Napa. It isn’t the Willamette Valley. It is it’s own, unique grape growing region with a tradition of making wines that make a lasting impression on those lucky enough to drink them and a local culture that makes for an outstanding Taste Vacation. Welcome to Washington wine country! We meet at the airport and arrive in idyllic downtown Walla Walla by early afternoon. Walla Walla, known as the “land of many waters” by the indigenous native American tribe, is now Washington’s leading wine town. Over 100 wineries exist in the Walla Walla area and each has its own, unique history. Many of the most well-regarded Washington State wines are from Walla Walla and the robust single varietals and blends will delight your palate. We taste many styles of Merlot, Cabernet, Syrah, Cabernet Franc, Malbec, Riesling, Chenin Blanc, Chardonnay, and Sauvignon. We learn about Walla Walla’s rich cultural and agricultural history on a walking tour with the Downtown Walla Walla Foundation before heading to Foundry Vineyards for an exclusive “Art Meets Wine” dinner with the owners of Foundry Vineyards who are also intimately involved in the local, national, and international art worlds via the Walla Walla Foundry, sort of a production facility for major art pieces employing over one hundreds artists, which they started 30+ years ago. After dinner we return to our downtown accommodations for a peaceful night, dreaming of all the wines to experience on Day Two. After an artisan breakfast that sources all ingredients locally, we head towards Oregon (it’s only a 10-minute drive) and pay a visit to SJR Vineyard, the estate vineyard for Delmas, located in “The Rocks District” within the Walla Walla Valley AVA. Owners, Steve and Mary Robertson, have rallied considerable support for the recent recognition of The Rocks District, which was just approved as Oregon’s newest, second-smallest, and 18th AVA. The Rocks District is the only AVA in the United States whose boundaries were defined based upon a single soil series and a single land form. We amble over to Northstar Winery for a gourmet wine country lunch and a custom blending session. The end result of which is your own, individually blended and labeled bottle of wine to take home with you! 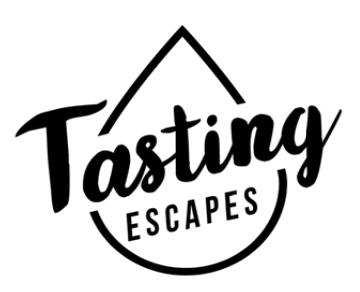 We take in the scenery of the Blue Mountains while driving to Tranche Cellars for a visit of their winery which focuses on Rhone Valley varietals and Mediterranean wines. In the evening, we luxuriate in a private, Chef’s Table wine dinner at the Marc Restaurant. We visit one last wine AVA before delivering wine guests to the airport in Pasco: the Red Mountain AVA. We explore the wine partnership at Col Solare which represents the Washington state/Italy alliance between two amazing producers – Chateau St. Michelle (WA) and Marchesi Antinori (Italy). 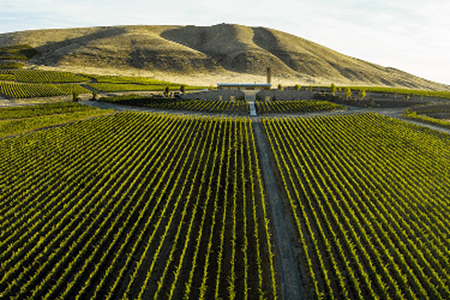 This beautiful wine estate reflects the old and new world aesthetics and traditions of the two partners in the Red Mountain AVA, Washington state’s smallest American Viticultural Area. It is then on to the Pasco airport for your flight home or to rent a car and continue your vacation in either Washington or Oregon. The Marcus Whitman hotel is the top hotel lodging property in Walla Walla, including beautiful accommodations, expansive modern conference center, on-site wine tasting rooms, and a nationally recognized award-winning restaurant and casual wine lounge, all set to a sophisticated old-world backdrop. It is one of our favorite historic small-town hotels anywhere. 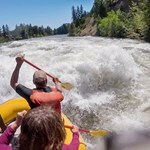 This Wenatchee River white water rafting and wine tasting adventure in Cashmere, Washington is a customer fan favorite! 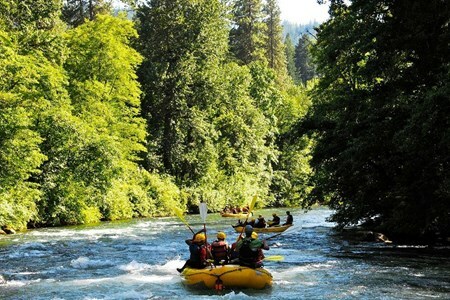 It is 6 hours of non-stop fun, and includes being picked up ... morein the center of Leavenworth and tranfer to the rafting meeting point in Cashmere, Washington. 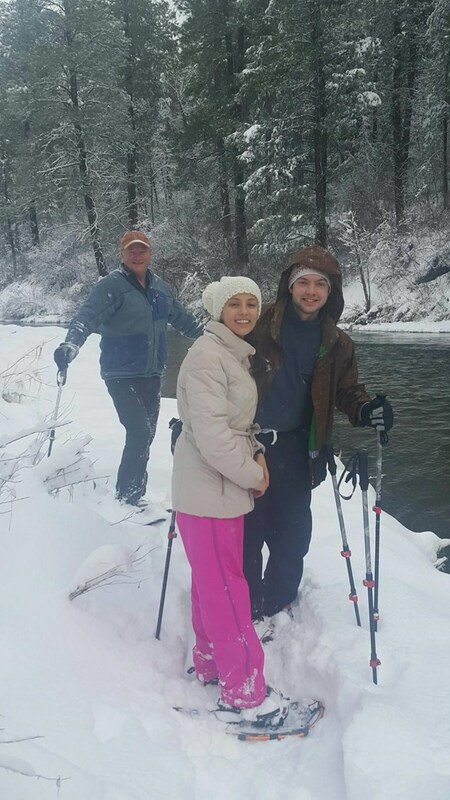 Enjoy the awesome waves of the Wenatchee River, followed by a delicious sirloin steak BBQ, and 3 hours of wine tasting in the Leavenworth Valley. Our experienced guides will get you geared up for your white water adventure! Your excitement begins immediately as you launch directly into Upper Gorilla and Sharkstooth, filled with lots of fun waves. Soon you’ll be upon the unforgettable rapids of Drunkards Drop, with great walls of green and white water. End your white water rafting adventure with the massive sandstone ledges of Snowblind, where your guide will show off their cool moves in this technical maze, followed by the awesome waves of Grannys and the Suffacator. Your white water adventure ends at the beautiful and relaxing Riverside Park in Cashmere, Washington. Change into dry clothes, and enjoy loading up your plate at our delicious Top Sirloin Steak BBQ -- with corn on the cob, potato salad, french bread, and ice cold lemonade, (Vegetarian options also available). Here you can relive your rafting adventure, viewing photos from the day, and laughing about the highlights with your guides. Your day isn't over yet! Next, you'll head over to the best wineries of the beautiful Wenatchee Valley. 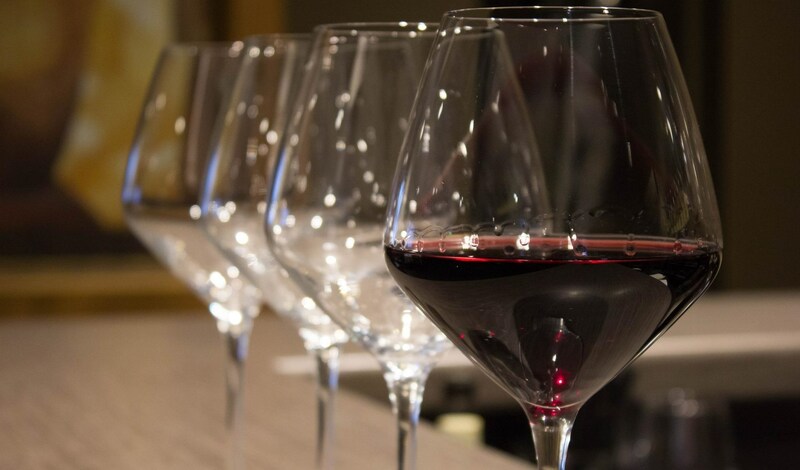 You'll enjoy some classic Eastern Washington reds as well as traditional German grapes in the spirit of Leavenworth. We will be tasting many wines along the way, so we always encourage our guests to stay well hydrated with the bottled water provided. We will finish back at our downtown Leavenworth shop, and we take care of all the driving along the way! Please consider purchasing some of these amazing wines on the tour and support our local wineries. They are very special people and work hard for your wine tasting enjoyment!